Climate Masters, Inc. 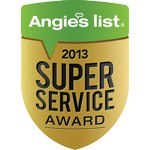 Heating and Cooling is proud to serve the Maplewood community! About Maplewood, MO - Happy to be your hometown Heating & Air Conditioning Contractor! 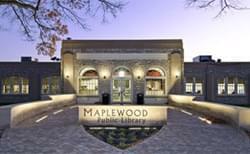 Maplewood is located in St. Louis County, Missouri, and according to the 2010 census the population was 8,046. This city is an inner suburb of St. Louis, and the median age is 34.7 years. Approximately 65% of the population is under 44 years of age. Maplewood Richmond Heights High School is found in this city, and it is part of the county’s oldest school district. The city is part of a transitional zone between the humid subtropical climate and the humid continental climate, and it is known for having four distinctive seasons. Despite the small size of Maplewood, the city is home to a few attractions that may be of interest to visitors and residents. Deer Creek Park is located in this city, as is the Jumpin’ Jupiter Las Vegas Style Show. Pet lovers may also enjoy taking their dogs to the Maplewood Dog Park that is also located in the city.